The high seas represent two-thirds of the Ocean surface and are one of the world’s major sources of biodiversity. They provide unique resources and potential for different sectors and connect all human beings through marine transportation and underwater cables. They are a zone to be explored and a field for innovation and research. As they are considered terra nullius, no State has control over them, unlike the exclusive economic zones (EEZ). There is a need to find a global solution for the governance of the high seas which is currently very fragmented between regional and sectoral conventions. 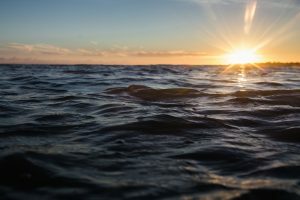 The lack of management of the high seas could have disastrous effects on marine biodiversity, fish stocks, and the capacity of the ocean to regulate climate and produce the oxygen we breathe. What Responsible Research and Innovation actions are needed for a good governance of the high seas? You want to use your creative mind to develop solutions that best serve individual citizens, your local community and the European society at large. You want to make sure that your needs and expectations are taken into account when local, national and European decisions and innovations are being developed. The workshop is organised by the World Ocean Network, using the Structured Democratic Dialogue Process (SDDP) methodology. (It will last from 9:00 to 18:00). It will involve citizens, scientists, business representatives, entrepreneurs, local authorities and policy makers in an open dialogue. Together, you will define a common vision and a roadmap of solutions and actions to face this challenge. The results, together with the outcomes of the other MARINA workshops in Europe, will be freely accessible on the MARINA Web Knowledge Sharing Platform, used for identifying lessons learned and best practices and disseminated at European policy conferences.